The World’s Biggest Pub Quiz is back for 2019 and set to be bigger and better than ever. Organisers PubAid are encouraging even more pubs and their customers to take part and raise money for charities, including official charity partner Prostate Cancer UK. Next year’s event will be the fourth quiz and will follow the successful format of previous events. Pubs wanting to run the quiz will receive a free fundraising pack containing all they need to run a successful event and to encourage customers to take part. Pubs can join the 150 pubs who have already registered their interest by signing up on the World’s Biggest Pub Quiz website. Co-founder of PubAid, Des O’Flanagan, said: “The World’s Biggest Pub Quiz has become a popular fixture for many pubs and their customers and we’re delighted to see many licensees signing up to run it again, as well as new pubs coming on board for 2019. “We’re delighted with how the quiz has grown over the years, with 1,500 pubs taking part earlier this year, raising £190,000 for charities. We’re grateful to our charity partner Prostate Cancer UK who have made the event both easy to run for licensees and great fun for participants. 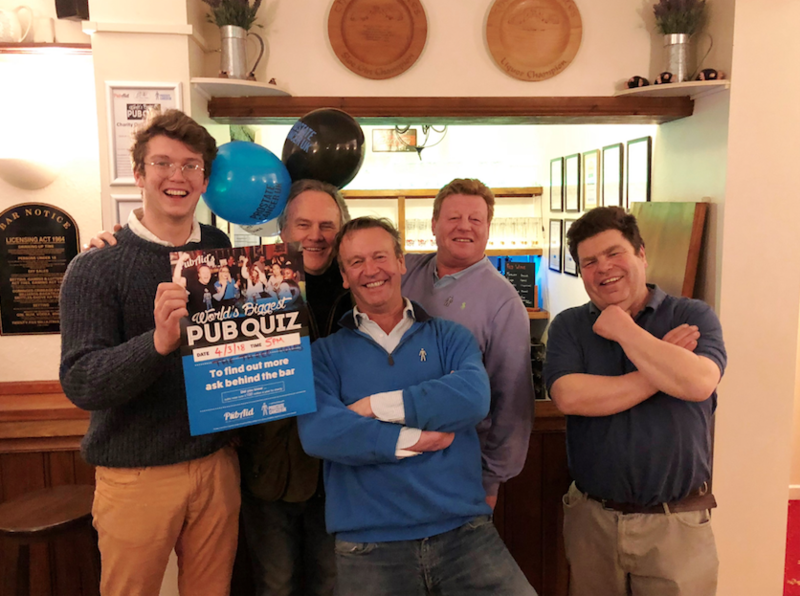 James Beeby, Director of Fundraising at Prostate Cancer UK said: “It’s been really great to see the World’s Biggest Pub Quiz grow since 2016 and we are excited to be PubAid’s charity partner once again for 2019. We are extremely grateful to all the pubs who have taken part so far and raised an incredible amount of money for Prostate Cancer UK. The World’s Biggest Pub Quiz is scheduled for 3-7 March 2019, but the organisers stress that this window is a guideline, not a requirement. Pubs who want to take part but can’t run the quiz during that week are welcome to run it at any other time in 2019. Pubs are encouraged to support PubAid’s charity partner Prostate Cancer UK, but can choose to raise funds for another charity should they wish to. “The World’s Biggest Pub Quiz was a real hit with our customers. We’re a small, traditional pub, and were absolutely packed on quiz night, it was standing room only – so it shows how an event can really draw customers into your pub. “The day we’d scheduled for the World’s Biggest Pub Quiz coincided with the heavy snowfall, but despite that, three teams made it to us through the blizzard to pit their wits. That’s a sizeable group of people who might not have made the effort just for a drink, so it shows how popular the quiz is.